Bushmills® Irish Whiskey has marked the return of its #BlackBushStories campaign for 2019 by announcing a collaboration with specialist tea makers, Suki Tea. 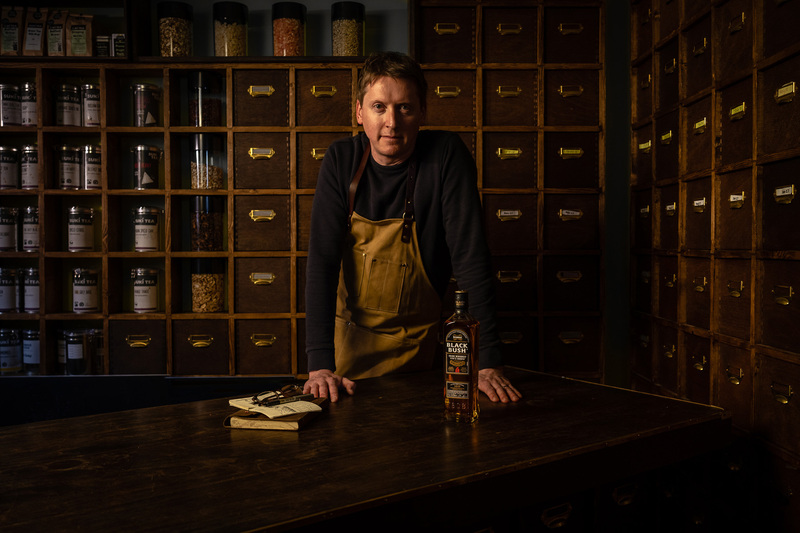 The collaboration will see co-founder of the Northern Irish tea company, Oscar Woolley, join Bushmills to host a series of whiskey and tea blending masterclass events across Ireland in April and May. ‘Black Bush Blended’ will take place at The Menagerie in Belfast on 8th and 9th May, offering whiskey lovers an opportunity to truly understand the synergy between the arts of blending whiskey and tea. 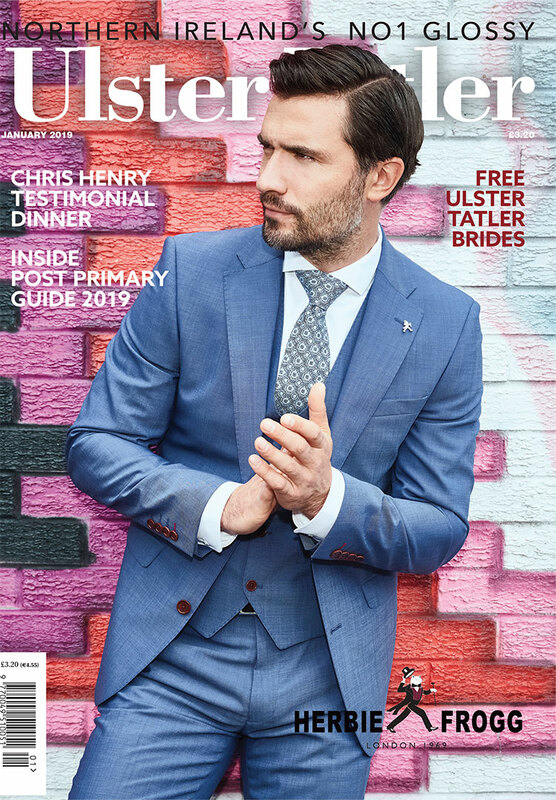 Guests will take part in an educational tasting session on some of Bushmills’ best loved Irish whiskeys, led by the Bushmills Brand Ambassador, before hearing Oscar’s story on how he turned a love of tea into a career. Attendees will then enjoy a tea tasting session and finish the night creating their own personalised tea blends. Specially created Black Bush drinks, including a tea-based cocktail, will also be served throughout the event. Oscar Woolley, co-founder of the Northern Irish tea company, Suki Tea. With a mutual pursuit of quality and flavour, the collaboration between the two Northern Irish brands will also introduce a limited edition, Black Bush inspired, loose leaf tea designed by Oscar. 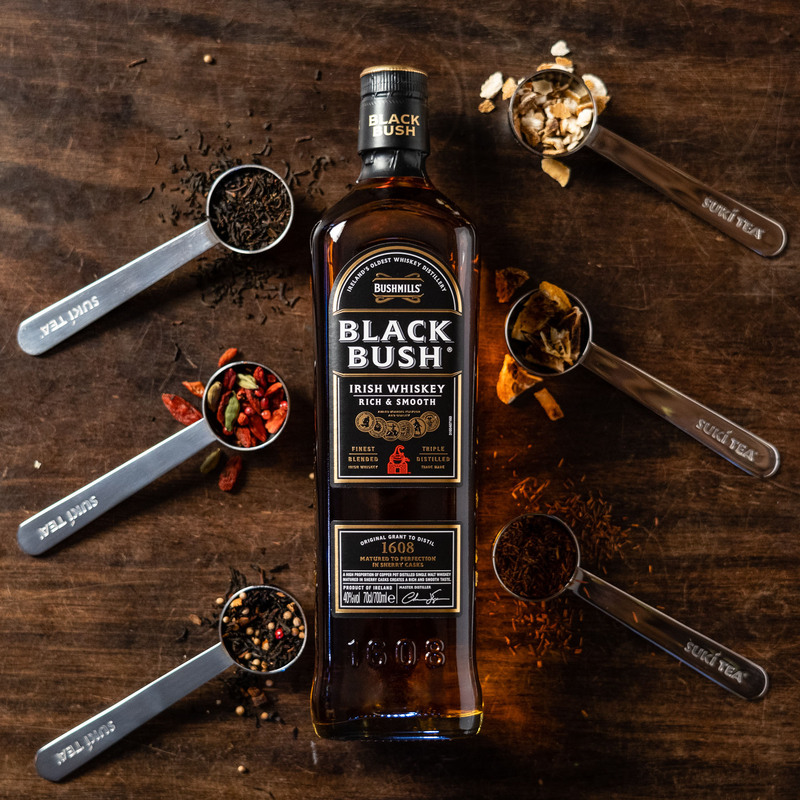 Taking influence from the rich, smooth notes of Black Bush, Oscar has created a blend bursting with aromatic, warm spices and a finishing flavour of sweet, dried fruit, mirroring the big robust flavours and velvety smooth character of Black Bush.